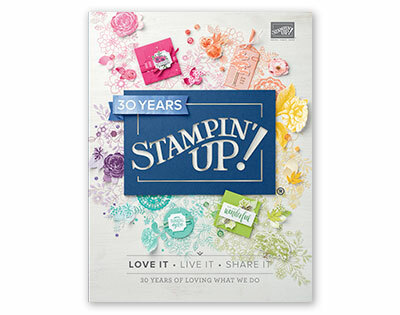 One of my favourite stamp sets from the new catalogue is Happy Birthday Gorgeous, it combines my two favourite things birthday stamps and flowers and I can see myself using it a lot. As a demonstrator we are able to order certain products early, imagine how I excited I was that this set was one of them, along with the matching and utterly gorgeous Happy Birthday Thinlits die. Today’s project is a super quick one as its been my son’s birthday today so we’ve spent all weekend celebrating and I’ve had little time to craft. 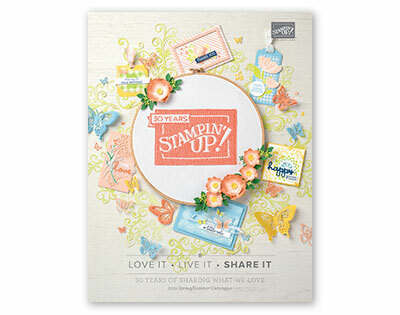 The card background was created using two of the flower stamps. First I stamped the outlines in Berry Burst and the stamped the centres in Powder Pink, I love how good these two colours look together. The stamps themselves have little arrows on which makes lining them up easy. To create the greeting I used the new Happy Birthday Thinlit cut out of Tranquil Tide, this is prefect for creating a quick focal point to any birthday card. I mounted the greeting on the largest oval from the Stitched Shape Framelits and finished the card off with a layer of Tranquil Tide Finely Woven Ribbon which I’ve ruched up. Hope you enjoyed this quick look at some of the new products coming June 1st.